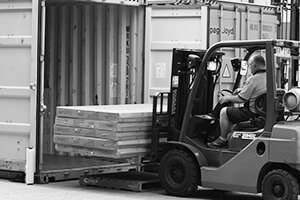 Direct Couriers can organise the container pick up from the dock, unpacking, sorting or labeling for dispatch or storage. Whatever your requirements, we have the solution for you. We provide full insurance for all our employees including workers compensation, public liability, and adhere to all work place policies and workcover standards. For more information call 131610 or click here to make an enquiry.